Our first time to see this bird was in Candaba, Pampanga. Unmistakable with its unique color and large orange red beak. We have seenit with immature birds many times. It seems to be doing very well in Candaba. 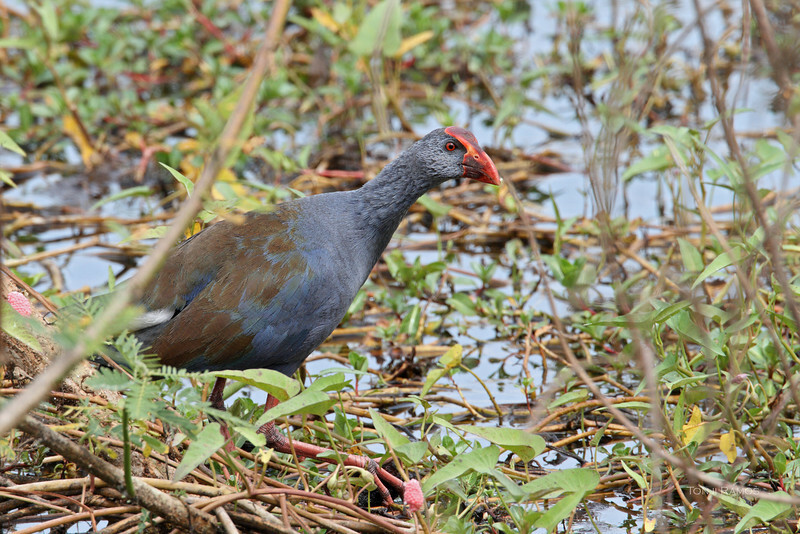 This is called Purple Swamphen in the Kennedy guide. It was split from Porphyrio porphyrio.